It’s not a shock to learn that Apple is always hard at work on the next big thing. There will always be another iPhone, a lighter MacBook Air, a faster iMac, and new operating systems to run on them. 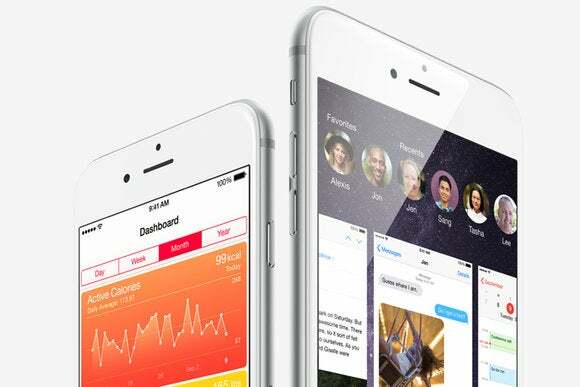 9to5Mac reported last week that, according to its unnamed sources, iOS 9 would focus not on new features, but rather on cleaning up iOS and making sure all the bells and whistles added in iOS 7 and iOS 8 work like they’re supposed to, every time. Think of it as the Snow Leopard of iOS. When Apple decided to slow the roll of feature creep in OS X 10.6, the result was an OS that didn’t boast hundreds of new features, but turned out to be stable and reliable—and we loved it. 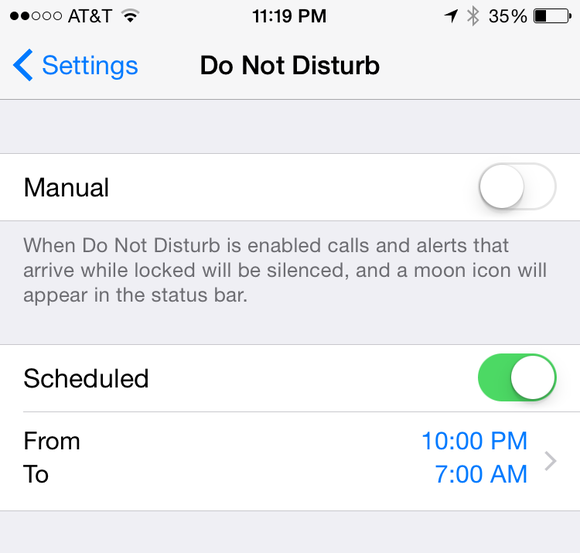 Do Not Disturb can mute your ringer at certain times of day, and Reminders has geofencing support, so it doesn’t seem like it would be too hard to build some of that set-it-and-forget-it functionality into other places in iOS 9’s Settings app. For example, I’d love to have my passcode disabled when I’m connected to my home Wi-Fi network, and enabled again when I leave. Please put an additional setting here so Do Not Disturb only turns on at 10pm if I'm already home. Even the Do Not Disturb feature could benefit from some geolocation support—it doesn’t have to go on at 11pm on nights when I’m traveling, especially if my iPhone is still out moving around the city, being actively used. 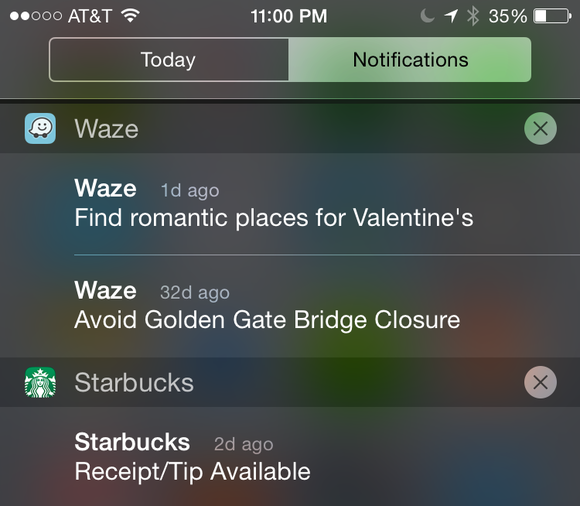 Right now, Notification Center is a good idea with only a so-so implementation. Right now my notifications show up in reverse chronological order, with the most recent on top. That works some of the time, but I’d appreciate being able to reorder the list, so important notifications such as VIP email and Messages always bubble up to the top, even if something more frivolous like Twitter or Facebook is a little more recent. Please let notifications expire. I don't need to know about that bridge closure from a month ago, and Starbucks only lets you leave a tip for a couple hours anyhow. It’d be nice to set expiration dates for some apps’ notifications too. That voicemail can stick around in Notification Center until I listen to it, but the nudge I just got from Peggle Blast should disappear by the next day. Oh, and here’s something to steal from Android: One button to tap that clears the entire Notification Center. Speaking of Notification Center, the process of tweaking its settings could really be streamlined. Right now, it’s generally easier to delete the whole app when its notifications start to bug me, than it is to dig into that huge list in Settings > Notifications and make the tweaks. 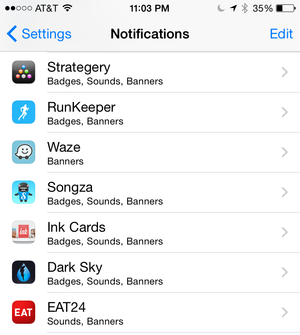 Trying to find apps in the huge list in Settings > Notifications is a pain. Please add a gesture to let us jump to the right settings from right inside Notification Center. I think Notification Center itself should have a shortcut to those settings. I want to double-tap the app’s name in the Notification Center list to jump right to that app's notification settings, so I can turn off notifications for that app, limit them to one, kill the sound, banish them from the lock screen, and so on. 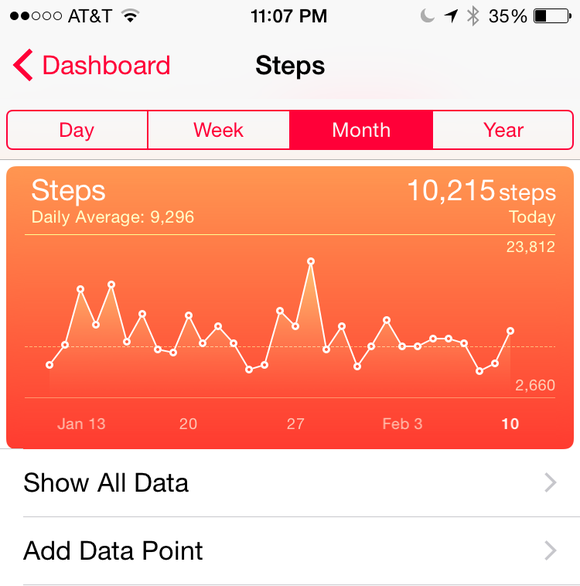 Health's graphs could use more labeling. What's up with that dotted line? Now, I realize that Health is a database and it’s not designed to give you insights and actionable advice. Apple does need to let us look inside this database, but right now it’s kind of like looking at your medical chart—the info is yours, so of course you have the right to see it, but it’s mostly gobbeldygook unless you’re a trained medical professional who can parse it. Since Health knows which metrics you’re tracking, it could at least suggest HealthKit-enabled apps to help you make sense of those metrics and decide on a course of action. If you track active minutes, Health could suggest Lark. If you’re interested in tracking calories, it could suggest MyFitnessPal. Speaking of, while Maps is more reliable than it was at its disastrous launch, it still doesn’t have transit directions, which is just bad. I use Google Maps (for walking or transit) or Waze (for driving) pretty exclusively as a result—but with CarPlay and the Apple Watch tying into Maps and only Maps, that’s about to change. Please, Apple, give Maps an overhaul to make it more useful. 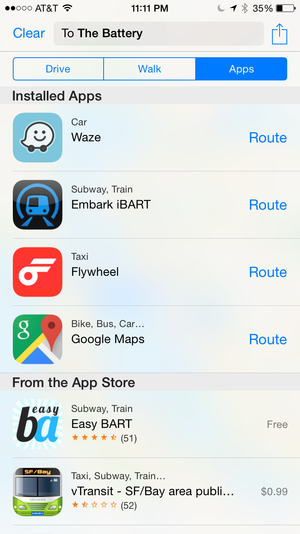 I know it's weird to complain about Maps recommending transit apps, while asking for Health to recommend HealthKit apps. But Maps has been doing this since iOS 6! Rumors are swirling that this camera-laden Dodge Caravan could be collecting street-level data to improve the Street-View-esque Flyover feature in Maps. I’d rather just know when the next bus is coming without having to go to this hideous website. One big advantage of putting those transit directions into Maps is that Siri will be able to tell me when the bus is coming too, or that if I walk a few more blocks to the train station, I’d get home faster. Siri is branching out beyond our iPhones and iPads—it’s coming to the Apple Watch, will be a huge part of HomeKit, and I gotta believe it’s destined to hit OS X this year too (even Windows 10 has Cortana on the desktop, after all). 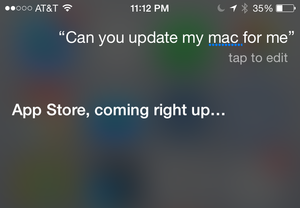 Once Siri is on our wrists and in our Macs, "Continuity" will have a whole new layer of awesome. As Siri starts responding to us from new and different devices, I think she could even start predicting what information we need next, a la Google Now. Passbook does this a little bit already, bringing up your boarding pass when you get to the airport, or surfacing your Starbucks gift card whenever you’re nearby. CarPlay does a little bit too: If you drive from your office to your house at around 6pm every weekday, CarPlay will learn that pattern and offer that route to you before you have to ask for it. Once I start using Siri across my Mac, iOS devices, car, and Apple Watch, certainly she could learn enough about my patterns to remind me when it’s time to leave for a meeting across town, or send a note to my iPhone offering to update software on my Mac when she can see I’m not using it.